Our high school Model United Nations team ended its competition season on February 3, 2019 with an outstanding showing at AmeriMUNC, a macro simulation put on by the American University School of International Relations which simulates real-life ongoing environmental, economic and political conflict within the Pacific region. The Juniors on the Secretariat continue to increase the club's national standing with strong performances in small, high-pressure committees, supported by an increasingly vocal and capable Sophomore class. 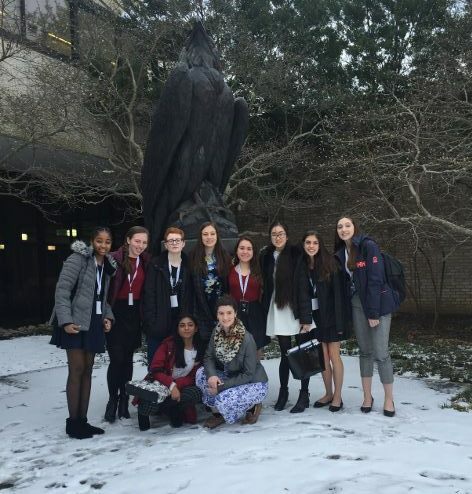 Ursuline’s Junior Model United Nations club is also becoming a force to be reckoned with! 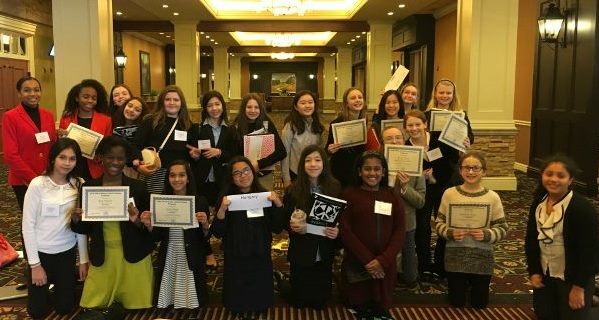 Twenty-two middle school students participated in YMCA Model United United Nations II, a conference in Hershey, PA the weekend of January 11-13, 2019. General Assembly, where delegates assume the roles of diplomats representing countries and engage in debate on topical issues: Chemical and Biological Weapons, Sustainable Tourism, and Rights of Indigenous Peoples. International Criminal Court, where delegates take on the task of arguing as prosecution or defense in cases tried by the International Criminal Court. Crisis Resolution Committee, where delegates immerse themselves in a historical or current crisis that they are expected to work together to resolve. At this conference, organized by the YMCA, to reinforce the theme of Respect for All, delegates contributed “donations for At Jacob’s Well to support efforts to provide transitional housing and supportive services for low income, mentally ill men and women." In addition, during the conference, all delegates conference-wide engaged in this service project by making paper flowers, bracelets, and cards to give to people who live in these group homes sponsored by Jacob's Well.